This week estate agent Gareth Cheshire, the original NP Property Blogger, helps you consider what’s right for you. When you embark on your venture to buy a home one of the most common decisions to make is whether to buy a new house or purchase an existing home. Each choice has its advantages and there is no single answer that works for everyone. Many people are drawn to developed neighbourhoods for the sense of community already established. Many people enjoy home improvement so an existing property may have small projects waiting to be done. Existing homes are often found in older, more convenient areas rather than out of town. In many cases, an older home offers the opportunity to expand and build a unique property. Developers are currently offering a range of incentives to attract buyers. So as well as your new home, you may be able to negotiate new carpets, blinds, turfed lawns and other sundries. The biggest advantage of all may be that developers are currently offering a range of part-exchange deals that will take all the hassle and aggravation away from you. To decide what really is best for you – to buy a new house or consider an older one, and how to approach developers, contact your local, professional, independent estate agent. 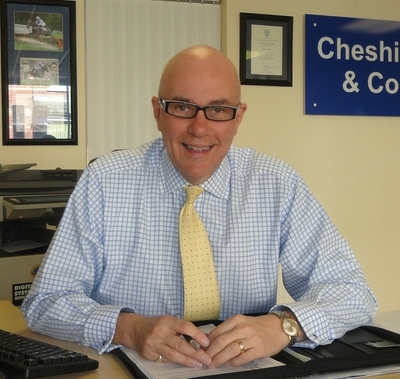 http://www.cheshireandco.co.uk/wp-content/uploads/gareth-sm-web.jpg 379 400 Office Admin http://www.cheshireandco.co.uk/wp-content/uploads/cheshire-logo269111.png Office Admin2018-11-26 10:40:522018-11-26 10:40:52Buy a new house? Or buy an old house? This can be answered in two parts. Firstly, some houses ARE overvalued to begin with: agents advise a vendor on a price which is markedly over value just to get the listing, therefore keeping the boss back at the office happy that they’ve got another instruction. Then, surprise, surprise, some weeks later with minimal viewings (if any), the only option offered to the vendor to try and sell the property is to drop the price. We are all fickle creatures and motivated by money, my years of experience in estate agency have proven time and again that people will invariably go with the agent who values their house at the highest price even if an objective view shows quite clearly that it’s overpriced. Having established that a property is being marketed at the correct value, many vendors are increasingly disillusioned and disheartened that nobody is coming to look at their house. One of the greatest wonders of the modern world is the internet and it’s changed the whole face of estate agency and the selling of houses – property presentation has never been more important! But however wonderful this 24/7 access to information is, it needs to be used to best effect; maximising the amount of people who want to come and look at an individual property. The key to this is ensuring that a property is seen in the best possible light – property presentation. The pictures taken by your agent HAVE to show your house off and make people want to take a further look by arranging a viewing. It sounds very simple – and it is – but photos showing only half a room and the bottom part of a wardrobe are very common but are of no use to anyone. Similarly, taking a photo of the least attractive aspect of a property is no use as a potential selling tool; getting a potential purchaser to your property because they like something they have seen means that when they do view it in person, the pokey downstairs bathroom may be ignored because they like the rest of the house. The key is getting them to the property in the first place. We use professional photography to present your property in the best possible light and to provide the best possible chance of creating interest and importantly, viewings. So call 01633 869 086 to talk to the property professionals and remember – there is a buyer out there for every property, but whatever the property, vendors and their agent must make every effort to maximise viewings.